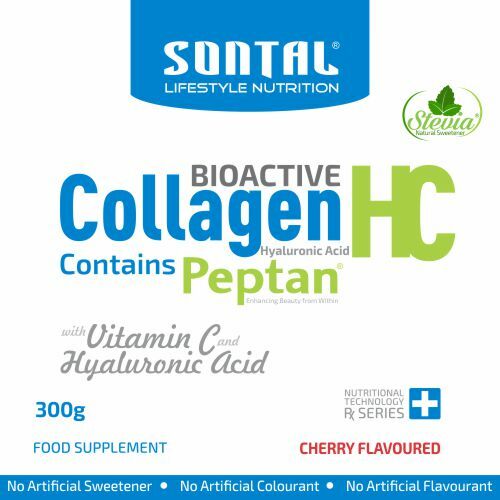 SONTAL BioActive Cherry Peptan® CollagenHC is a nutri-cosmetic supplement that enables your body to rebuild and maintain its collagen reserves to help you look and feel young again. Stevia Natural Sweetener – No Artificial Additives. Stop your suffering. 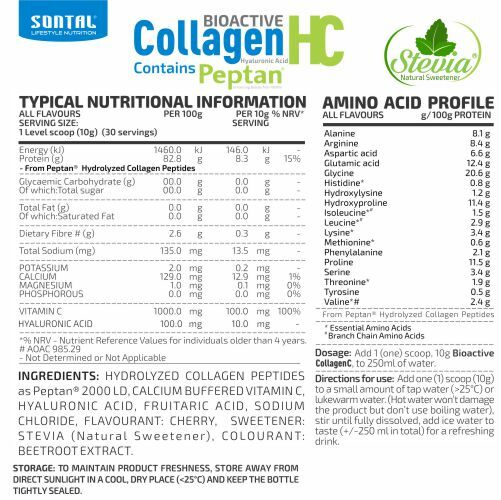 Use SONTAL BioActive Peptan® CollagenHC to rebuild your stores of fresh collagen.